Halloween season – how to celebrate and clean your home? The Halloween is looming! You probably have already figured out how to spend this holiday and stocked up on candy. You might even have a costume (or two) ready for every family member. 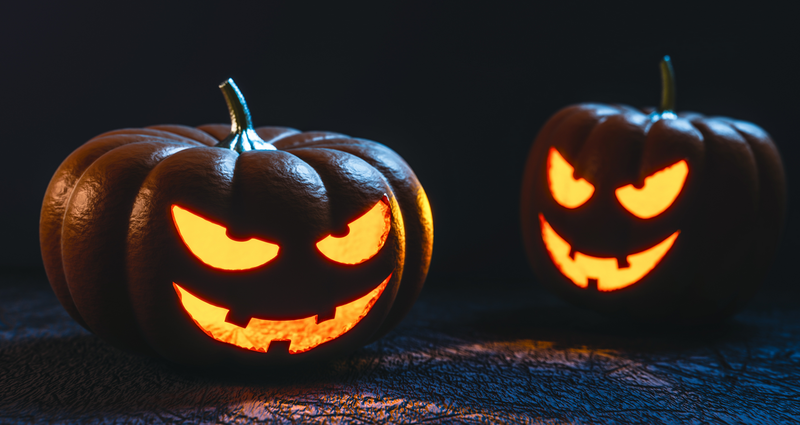 Except in the United States, Halloween is celebrated in Ireland, Canada, the United Kingdom, Sweden, Puerto Rico, Japan, New Zealand and some parts of Australia, but the customs are similar in all parts of the world. Pumpkin patch is probably planned for this weekend and your family will have fun carving pumpkins. And that both means a lot of fun and a lot of mess! This custom is based on the Irish legend about the blacksmith Jack. Jack was known for his imagination. Jack offered his soul in exchange for a drink. According to the legend, when the Devil was turned into a coin, Jack quickly put him in his pocket next to the cross – which made the Devil unable to return to his form. This cunning blacksmith released the Devil only when he promised that he would not seek his soul for the next ten years, says the story. After that, the lecture says that Jack once again managed to fool the Devil by asking him to pick up an apple from the tree. He quickly drew a cross on the tree of the tree, and the Devil could not catch him again. Yet, as the legend says, when Jack died, he was not received in Heaven because of sinful life, but not in Hell. The devil sent him back, giving him a piece of coal. According to the tradition, this blacksmith had a tail in his pocket and he put the coal inside. Since then, he has become a wanderer who, trying to find his way home, goes on dark streets carrying a tail in his hand and scaring people around him. As the legend spread and the witch’s night slowly became an increasingly frequent holiday in countries all over the world, so the story changed. Because of this, some people have carved tomatoes, some potatoes, and everything ended with pumpkin becoming one of the most important symbol of Halloween. How to clean pumpkin carving mess? In most of the cases, after the holidays the beautiful costumes, spotless makeup and the most delicious sweets leave the biggest spots and the most stubborn dirt. Furniture and carpets are the worst part of the home where the stains end up. It is fairly easy to clean hardwood and stone floors from pumpkin residues. Use water and cleaning liquid you prefer and everything is done in a matter of minutes. But what if the pumpkin seeds end up in a living room or bedroom? Pumpkin stains are the most stubborn ones. They are cleaned as all fruit stains. You need a knife, a stain remover, a few clean cloths, warm water and a lot of patience. 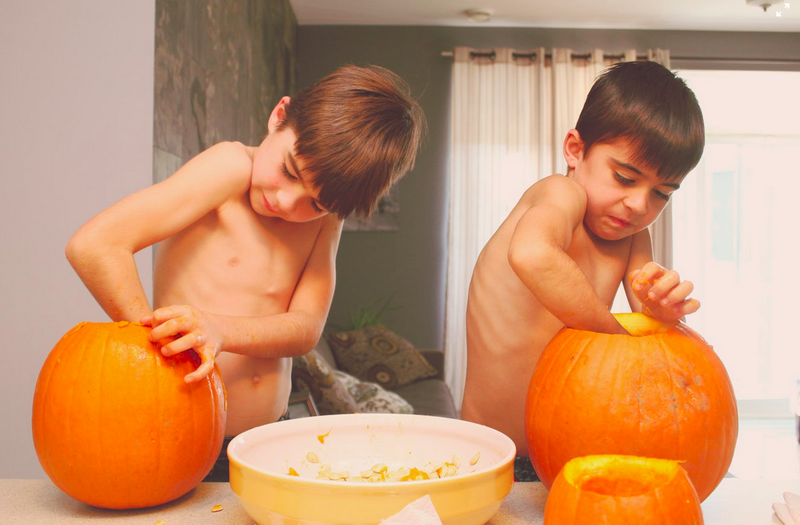 Firstly, you should use a knife to scrape off any residual pumpkin stains in order to prevent it from spreading. Then use upholstery cleaning product and gently rub it in with the sponge. When everything is done, use a lot of fresh water and clean cloths to remove the stain. The same process applies to carpets. No matter what, happy aces of pumpkin carvers are irreplaceable. So, enjoy your holidays and if the cleaning becomes too much for you to handle, you can always book a professional cleaning. Happy Halloween from Absolute Shine team and we hope you’ll have fun!